Wir bieten neben unseren cadKat Produkten ab sofort eine ganz spezielle Leistung an: Wir bearbeiten Ihre Aluminium-, Kunststoff- und Holzprofile - genau, vollauomatisch und überaus preiswert. Wie können wir dies leisten? Mithilfe unserer modernen CNC Profilbearbeitungszentren wird jede Bohrung perfekt und jede Länge exakt gleich lang. Vollautomatisch folgen diese Maschinen einer Maßzeichnung, die Sie dann kurze Zeit später in ihrem Aluminiumprofil wiederfinden werden! Gerade im Bereich des Fenster-, Fassaden- und Fahrzeugbau herrscht ein großer Bedarf an hochqualitativer Profilbearbeitung. Sehen Sie sich doch nur mal um - Aluminiumprofile finden sich in U-Bahnen, Segelbooten, Flugzeugen, Kaufhäusern... Von CNC Fräsen über Gewinde schneiden/furchen bis hin zu CNC Sägen lässt unsere Servicepalette nichts zu wünschen übrig. Und sollten Sie doch einen Spezialwunsch haben - nur Mut! Wir haben schon die unwahrscheinlichsten Projekte zu einem erfolgreichen Ende geführt. I'm very happy to announce the launch of our new 360° ShowRoomWebcam. 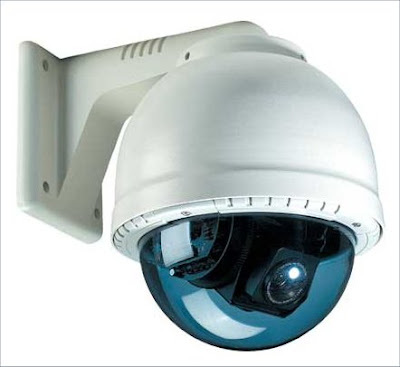 This device will allow you to look inside our company and even control its movements and zoom level from anywhere in the world. To see it you simply go to our online shop www.cadkat.com and click the red "webcam" button on the very bottom of the page. Put "gast" and "gast" as username and password and you are all set to go. Not only does the webcam offer a sharp image and a gigantic zoom range but also does it automatically turn on the light when you are viewing our Showroom at nighttime. I would love some comments on our new webcam. Please feel free to write me (beachwheels@gmail.com). 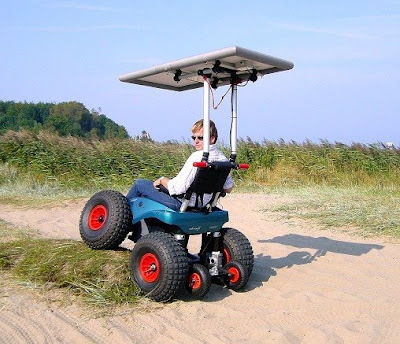 cadWeazle is an all-terrain wheelchair that actually does what any other electric wheelchair on theplanet cannot. Mobility, accessibility, freedom - for most wheelchair users these words merely sound like a false promise, a dream at best. But this time is over now, because you can say goodbye to unaccessible areas and farewell to borders and limitations. Introducing the cadWeazle by cadKat. cadWeazle lets you go places you might already have abandoned in your mind due to the fact that your wheelchair won't take you there. 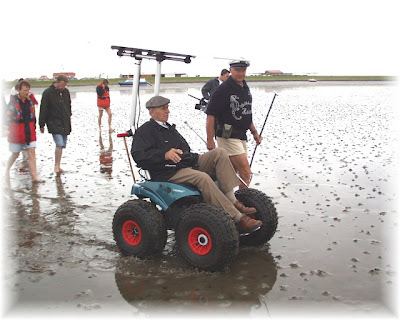 Beaches, mudflats, snowy forests - any area can now be reached and discovered even by those who cannot use their own legs. Control your cadWeazle with a Joystick and let the sun charge its batteries via solar roof. Not needing gas or oil the cadWeazle is the most environment friendly vehicle of its kind. Due to its big balloon tires the cadWeazle uses a large surface to support its weight. Therefore the pressure on the ground is minimized. The cadWeazle can run over seashells during a mudflat hike and leave them undamaged - not even a careful mudflat hiker can do that. The vehicle is completely silent and its movements are very steady and smooth, thus cadWeazle does not create any kind of hostile or threatening presence. It has been frequently used to watch birds and seals from a minimal distance in the North Sea - an amazing experience especially for wheelchair users who would have never guessed they would be sitting right at the bottom of the North Sea. For more information on the cadWeazle visit our cadWeazle website. Many more videos of the cadWeazle in action can be found in our official YouTube channel. Please feel free to post your comments and ideas and let me know what you think. The "Kieler Woche '08" (the planet's biggest sailing event) here in our city of Kiel has once again come to an end yesterday. Most catamaran sailors had to cancel their participation for this year's races mainly due to the upcoming Olympic games in Beijing, China which saddened us quite a bit. So here's a picture of what catamaran-race beaches do look like when professionals are actually racing. Recognize any of these wheels? Yes they all look the same, yes there's a lot of them and yes they are EuroTrax launching trolleys by cadKat. This is one of those shots I gladly share with the world because it proves a certain point: Wherever you may encounter a catamaran chances are a EuroTrax launching trolley won't be far. And you can be certain of one other thing: Professional cat sailors know what a good trolley is. Do you? let me tell you about our brand-new HiSpeed buggy wheels today. 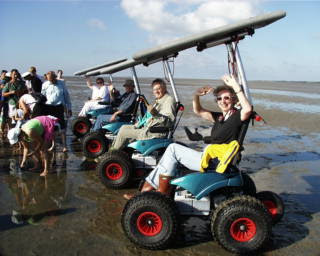 We have been selling World Cup winning HiSpeed tires for beach buggys (kitesailing) for the last couple of years. 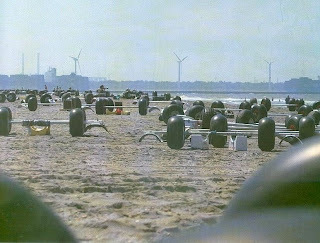 Countless buggy pilots from New Zealand over Australia to the UK and the US - races were won, not only because of good drivers. Now we have the new generation of EuroTrax HiSpeed tires available - and the first shipment is selling real quick. And for a good reason: These tires are fast as hell. 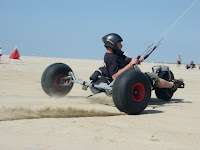 Legally permitted to go up to 80km/h (50mph) these deeply grooved tires will dig into the sand and not let go. It is in fact the wheel with the best grip we have ever seen (and we have seen a lot of competitors' creations as you might imagine). Every single tire goes through quality control before becoming a HiSpeed tire and being shipped out. Welcome to cadKat's first blog. My name is Marius and I will be presenting a lot of cadKat's feature products as well as product ideas, concepts and news about our big balloon wheels. Stay tuned and check out our other profiles at YouTube and MySpace to witness a jetski-launch world record, wheelchair users during a mudflat hiking tour in the Atlantic ocean and much more stuff you have probably never seen before! If you prefer technical information feel free to visit our daily updated online shop at www.cadkat.com and write me an email or post a comment. I also added a slideshow towards the bottom of this page that will give you a sneek peek of what we do at cadKat. What is your opinion on our products? What would you like to see in the future? What transportation situation seems to be the most troubling one for you and - of course - what can we do to help you? I am excited to hear from you and I will get back to you with more information real soon.